My name is Paul Smith, and I moved to Beverley from Leeds. I have a web design business, creating websites for companies all over the world. I have also been increasingly aware that there is very little information available to a web-browser about this fantastic town of Beverley. HU17.net is a project that I have started recently to try and capture some of the day-to-day things in Beverley. 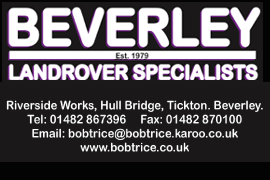 I’ve included a directory where local people can list their business or service offered – add your listing here – that is intended to promote independent businesses, organisations and events located within Beverley to anyone looking for information for Beverley, wherever they live in the world. HU17.net has two objectives – to promote businesses and events within Beverley that either inhabitants of or visitors to Beverley will find useful, and to allow me to experiment with applications and software that will assist me in my web design business. HU17.net is a website that is being developed in Beverley by Paul Smith, a professional web designer, as a sideline project. The project is to collect and publish information, news and guides relating to Beverley with a view to encourage local trade and support throughout the town. What is the purpose of HU17.net? The web site is a platform to share information that is specific to the town Beverley providing details of events, historical locations, things to do, places to go, live entertainment, news, places to eat etc. Local people, companies and organisations are encouraged to use HU17.net to communicate things they want the community of Beverley to know about. Can I Add My Business? Companies that have a HU17 postcode and are located in Beverley, East Yorkshire are able to add their details to the web site for free. Business may also showcase and provide greater details and share news through HU17.net without charge. Can I Sell My Goods On HU17.net? There is a section on the web site where anyone in Beverley can list goods they wish to sell to others such as second-hand bikes, cars and even property. The classified section, like the directory, is free of charge to use providing you have a HU17 postcode and are located in Beverley. HU17.net – It’s All About Beverley!